Living with heart failure, sometimes known as congestive heart failure, is a difficult reality for millions of Americans. The risk of this disease increases with age, and one in eight individuals over the age of 80 are affected. 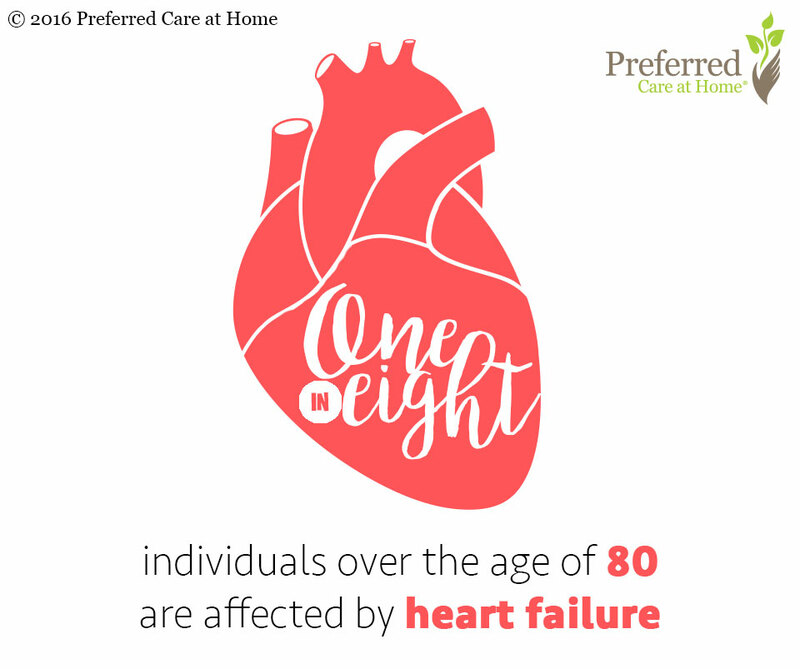 Given this high prevalence, it is important to understand some basic facts about heart failure. What does ‘heart failure’ really mean? Fundamentally, it means that the heart is not filling with blood and pumping it out in a normal manner. There are many causes and various subtypes of heart failure, but the common feature is that the heart is not acting as an effective pump. What are some causes of heart failure? The causes of heart failure include any process that damages the heart muscle. This includes prior myocardial infarction (i.e. heart attack), chronic high blood pressure, and heart valve disease such as aortic stenosis, aortic regurgitation, and mitral regurgitation. Less common causes include diseases such as sarcoidosis, hemochromatosis, and amyloidosis, which can affect multiple organs in the body, including the heart. Individuals with heart failure may have feelings of shortness of breath that is worsened by lying down, fatigue, and swelling in the arms, legs, or abdomen. They may also have coughing attacks and severe shortness of breath at night that wakes them from sleep, what doctor’s call ‘paroxysmal nocturnal dyspnea.’ Because the heart is not pumping effectively, blood can back up into the blood vessels of the lungs. This congestion in the lung blood vessels causes many of the respiratory symptoms and is why the disease has also been called congestive heart failure, or CHF. What tests might be ordered to diagnose heart failure? A chest x-ray may be ordered by your doctor to look for evidence of heart failure. There are also blood tests, such as B-type natriuretic peptide (BNP), that help in distinguishing heart failure from other causes of shortness of breath. Ultimately, an echocardiogram may be needed as this is the gold standard for diagnosing heart failure. This exam uses ultrasound to assess the structure and function of the heart and is a painless imaging test that does not involve radiation. The treatment of heart failure will be determined by the underlying cause and will depend on the severity of your symptoms. Even though heart failure is a serious health condition, your physician will be able to prescribe medications that can optimize your heart function and provide the best quality of life. Taking these medications as prescribed and going to follow-up appointments are essential for any individual with heart failure, as just a few days without the proper medication can cause someone to decompensate and become critically ill. If you or a loved one have heart failure and are in need of help with medication reminders or transportation to doctor’s appointments, please don’t hesitate to give us a call to learn how we can help you navigate heart failure and live to the fullest.